The Vine’s purpose is to essentially but not exclusively, serve the community of Hyson Green , Forest Fields, New Basford and the Birkin Patch, in response to its needs. This community is in one of the most disadvantaged areas in Nottingham with needs arising from very wide cultural diversity, high unemployment, lone parenting, low academic achievement, mental ill health, asylum seekers & refugees, substance misuse, physical disabilities, ex and repeat offending and an elderly population. 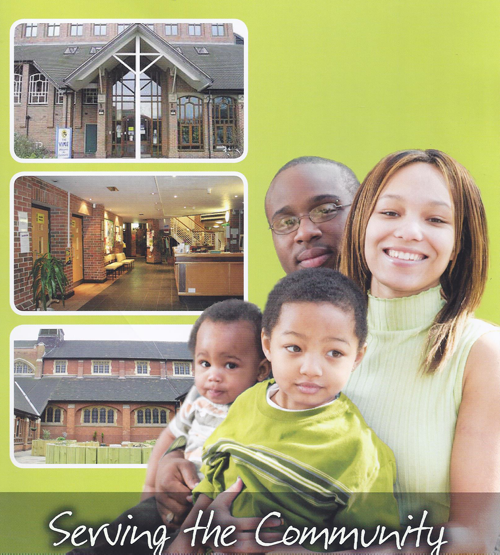 The Vine Community Centre was initiated by St Stephens church in Hyson Green as a Christian based project to serve the needs of the local community . New beginnings (Nottingham) was formed in 1990 as a registered charity to run the community centre as a separate entity to St Stephen’s Church. (another St Stephen’s initiated project designed to support family life in the community). The Vine is responsible for its own financial sustainability. As such it needs to work with individuals and organisations to attract funding for projects and services that meet the needs of the local community. To serve the local community particularly those in greatest need. To improve social cohesion across cultures, to improve family life and to increase learning and economic development. In order to achieve our vision, we must become financially sustainable out of the services that we provide. We have many successes since we were established in 2008, Our biggest notable success is the Parent and Toddler sessions, that we run. We have also received a letter from the queen.